Next month, more than 4,000 of the world’s top obesity scientists, health professionals, and policymakers will head to the Georgia World Congress Center for Obesity Week 2013, an inaugural event combining the conferences of both The Obesity Society and the American Society of Metabolic and Bariatric Surgery. Keynote speakers include Bruce Spiegelman, MD, a renowned fat cell biology researcher from Harvard Medical School, and New York City Health Commissioner Tom Farley, MD. We talked to Martin Binks PhD, an associate professor of nutritional sciences at Texas Tech University who is also secretary/treasurer elect of The Obesity Society Council. Binks will be here November 11-16 for the event. Why Atlanta? Is it because obesity is such an issue here in the South? It’s absolutely among the reasons. Whenever we came together to talk about locations and what we’re looking for, first and foremost, we thought where would our attendees like to go? During the meeting they’re fully engaged and they don’t spend a lot of time out in the world. But after hours, we want a city with good dining and entertainment and good walkability and Atlanta fit that criteria. But so did a lot of cities. When you have a bunch of obesity scientists talking about the city, the prevalence in the south and Atlanta of obesity and other health issues, those definitely came into play. What do you blame for our high obesity? Sweet tea? The country’s catching up. When you look at the obesity map, it’s not just an issue that’s unique to the south. Everyone’s challenged with less-than-ideal food environments. I think access to affordable and reputable care in more rural states is a big issue and the south tends to have more rural populations. I think you’re the 17th most obese state in the country. 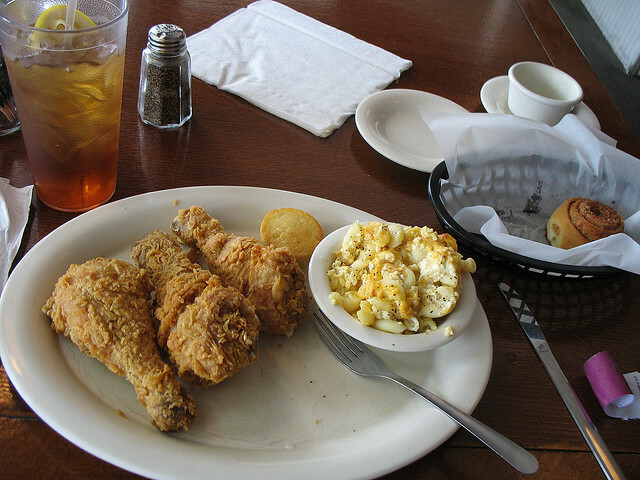 Yes, it’s sweet tea, fried foods. It’s hard for people to get away from traditional eating styles. The south has some fairly obesity-promoting traditional foods. But access to health information is improving. Access to direct care is improving. It’s not that these two organizations haven’t had conferences before. It’s just the first time they’ve joined forces? Yes. When you think about what it takes to work on the obesity epidemic and what it takes to make a difference, the two organizations together span all the potential tools we have to fight obesity. It made sense to present two scientific conferences under one roof, increasing the likelihood of learning from each other and collaborating with each other. We kind of have a win/win. People who used to pay for both conferences now get to go to both for the same price. It also opens the door to the majority of members who went to one or the other and now we’ll be able to expose each other to each other’s scientific meetings and all the things we’re learning about obesity with one entrance fee. Is any of the conference open to the public? There is a brand new addition we haven’t done before: a direct-to-the-public workshop as part of pre-conference events (November 12, 10 a.m.-2 p.m.) How do parents help their children and families to become more active, more healthy, make better nutritional choices and ultimately improve weight? We thought, we have some of the leaders in a field in an area where obesity is a huge problem. We should reach out to the public. What do you at The Obesity Society eventually hope to accomplish? I would be more than happy to re-specialize in my career if we can stop the obesity epidemic. The world of weight management and health promotion is full of bad information. The public picks up information how to lose weight that is not reputable. Our goal is to provide the scientifically based treatments and solutions to improving weight. Will the food be healthy and will conference goers be forced to walk everywhere? There are some realities. We do have shuttle bus services but there will be infomercials about obesity week playing on the shuttle buses. Most of us travel for business so we do try to build in opportunities for activity. There’s a 5K and conference halls tend to add a lot of steps to your day. We as obesity professionals don’t believe everybody has to eat nothing but lettuce. There’s a happy medium there.